Suicide is the act of intentionally killing yourself. Today, it is the second leading death cause among college students. According to statistics, 10% of college students have had suicidal thoughts or even have been making plans to take away their own lives. Most students, who manifest such thoughts and intentions, suffer from mental illnesses (most often – depression), experience frustrations, worries, fears, and doubts. Even though many students can experience these symptoms without thoughts of death, it’s necessary to prevent or timely notice the frightening moment, when they decide to end their lives. 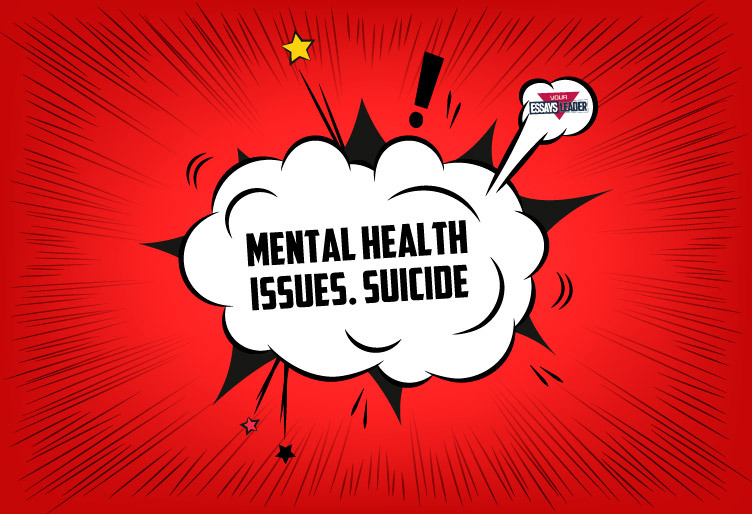 Most college students who commit suicide suffer from a diagnosable and treatable mental disorder, such as severe depression, anxiety, or negative thoughts after a loss of a loved one. How to Notice Suicidal Behavior in Your Friend? Seeing any of these signs, be very careful. Patiently talk with this person and encourage him to get professional help. In case you suspect that your friend, peer, or roommate is suicidal but doesn’t want to communicate, consult your campus healthcare providers right away. In emergency cases, call 911 or urgent care facilities. By expressing your concern in time, you might save this person’s life. If you have any of these signs, seek professional help. Share your thoughts with your friend or family member and ask them to accompany you to the specialist. Suicide is a serious issue. Nevertheless, you can prevent this tragedy if you don’t nurture your negative thoughts and rather seek ways to deal with them. Remember that your life is the most precious thing you have. Value it.